Reserve Bank of India (RBI) was established in 1935 and is the central banking institution of India. It gives an opportunity to the Indian as well as the foreign students to work as interns and experience the working of a centralized bank. What are the types of internships at RBI and who can apply? 1. Summer placements – Students pursuing bachelors in law or masters in business management, economics, econometrics, finance, banking, statistics, or commerce can apply to a 3-month internship at RBI from April to July. Selected candidates will be placed at RBI offices across the country and will receive a monthly stipend of 15K. 2. Research internships – Students pursuing B.Tech/B.E. or M.Tech in Computer Science or Data Analytics along with those pursuing masters or Ph.D. in economics, banking, statistics, or finance can apply to a 6-month research internship at RBI’s Mumbai office across five departments namely Department of Economic & Policy Research, Department of Statistics & Information Management, Financial Stability Unit, International Department, and Strategic Research Unit. Selected candidates will be offered a monthly stipend of 35K and may get a chance to extend the internship for another 6 months. How to apply to an internship at RBI? Students interested in working with RBI can apply to RBI internships in the following ways. a. Summer placements at RBI – Students can apply to a summer internship at RBI from 15th September to 30th October by filling in the prescribed application form and forwarding it to control offices of RBI. Students can also email the application form to the concerned authorities. Foreign students can also apply to RBI summer internships by filling in the application form and mailing it to the central office of RBI. b. Research internship – You can apply to research internships at RBI by sending your CV, references, and statement of purpose to the concerned department (at their Mumbai office). You can also email these documents to the concerned departments. The applications are open from July to November and January to May. 2. Campus placement – RBI also hires interns from select few colleges such as IIMs and Amrita School of Business. What after applying to an RBI internship? 1. What do you expect to learn from this internship? 2. How would this internship help your career? 3. Why do you want to intern at RBI? 4. Tell me something about yourself which is not on your resume. 5. Which projects have you worked on so far? 1. 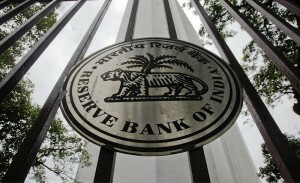 What are the basic roles and functions of RBI? 2. What is the objective of RBI? 3. In which department at RBI would you like to work if selected? 1. Should commodity trading be allowed in India? 2. What steps do you think RBI must take to arrest the depreciation of Rupee? 3. Which is the recent thing that happened in the economy related to banking? 4. Do you think demonetization was a good move? What to expect when your RBI internship starts? On the first day of your RBI internship, you’ll be introduced to the DGM and the AGM along with the fellow employees and interns. You’ll be assigned a project as per your interest and a guide to help you during the internship. At the end of your internship at RBI, you would be required to give a final presentation to the regional director and the general managers at RBI and will receive a certificate of appreciation. 1. Be thorough with RBI. It is the premier bank of India; getting into it isn’t easy. Put efforts into your application and work diligently. 2. Have a sound knowledge of current economic policies. RBI deals with the dynamic world of finance. New terms are coined every month and new topics are discussed every day. Be adept with the latest news. 3. Decide what role you want to fit in. An internship at RBI is a very important step in your career. Thus, it would be wise to play according to your strength. 4. Never bluff in the interview and be confident. Remember that the best of the best are taking your interview. Pitch yourself in a positive way and never ever argue with them in case your opinion differs on certain topics. RBI is a wonderful place to do your internship. Don’t take our word for it; hear what Geethu has to say about her internship experience at RBI. You can also read how Rohit secured an internship at RBI. Now that you know the RBI hiring process, you may apply to an internship at RBI and gain the experience of working at a centralised bank. You may also look for finance and MBA internships on Internshala by registering here. I am interested to take internship in your organisation. Please refer to the above article to know more about internship at RBI. I am interested to take internship in your organisation.. Please go through the article carefully. You’ll the link to apply for the internship. I want an internship with Rbi, how to apply and when will be the dates out to apply for this coveted internship. i am in my 3rd year of bcom(h) and pls tell me that is the procedure to apply for the rbi internship is online ???? Please go through the “How to apply” section in the above article. i am a b.com(h)- ii year student. Can i apply for this internship? The article says that the respective institutions should submit the applications. That means, we just need to fill the form and forward it to the concerned authorities or we need to post it after their authentication?? Please refer the above article for the further details regarding the internship in RBI. Sir, i already applied in internship.for may and april.. But d’nt got any email from RBI. I was submitted the form in nov.. Bt d’nt gt any information about shortlisted candidate and about interview..
You may follow-up with the company on this. We have no idea on this. They will select candidates on CV, references. But i didnt understand whom reference which reference. please comment because i want to apply for it. We don’t have any information regarding internships at RBI currently. Please visit their official careers page for details. Hello i am doing master in fiancial economic and i am interested in rbi internship. After 3 month my master will be complete So can you explain me how i can aplly for internship. Currently, we do not have any information regarding internship at RBI. Please visit their career page for more information. However, you can apply for other internships related to finance and Economics which are available on our platform. You may register on Internshala here – http://bit.ly/new-registration. Once you’ve registered and logged into your account, you may click on the ‘Internships’ button on your dashboard to view all the internships available on the platform. You can filter internships according to your preference. Hi, Can you guys tell how after how many days after the interview the final results are announced. Thanks in advance! I am interested in Rbi research internship.But i need more information about reference(Is there any format), statement of purpose.could help me on this on urgent basis. Is there any contact no for RBI related to this. Your help will be appriciate. I am afraid, currently, we do not have any information related to internships at RBI. You may visit their careers page for more information.